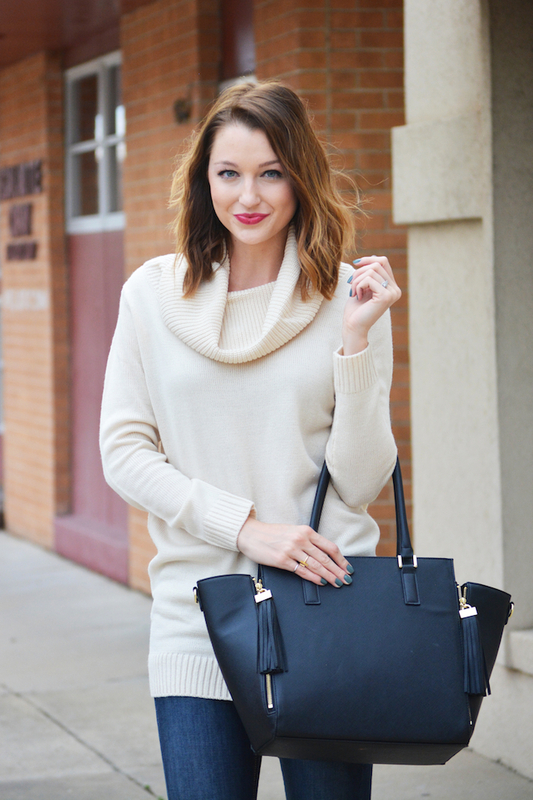 We are finally getting our first full week of fall weather this week (it was 80 degrees over the weekend), so it was the perfect timing to finally wear this cozy turtleneck sweater and my new Johnston & Murphy booties! I've really been wanting to add a pair of leather booties to my boot collection, and the quality of these is absolutely incredible. The leather is smooth and shiny, and they have an awesome structured look that's huge right now but also so so classic. For those of you who don't know Johnston & Murphy... They are a classic American footwear brand based in Nashville that has sole high-quality men's shoes since 1850. In 2008, they introduced a women's line that also has that classic, high-quality appeal. 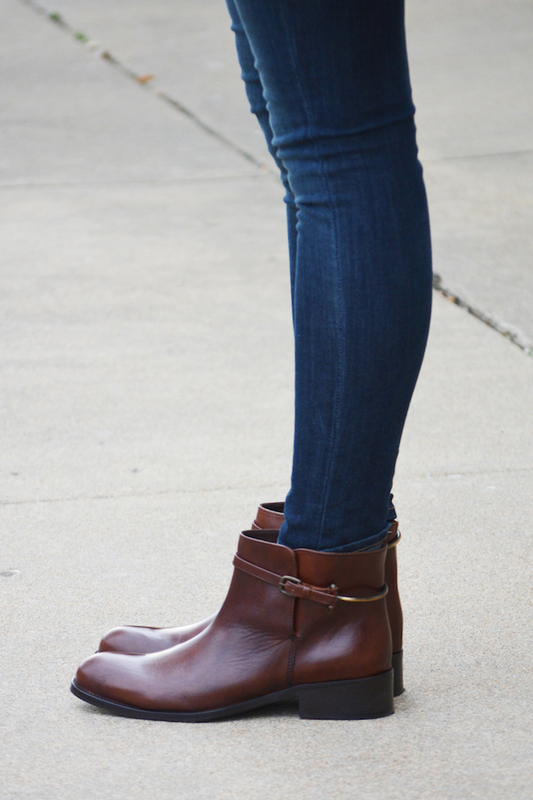 Today, I'm so excited to be giving away a pair of the Sari Harness Jodphur booties that I'm wearing above (valued at $298)! This is an incredible pair of shoes to add to your collection, so don't miss out on the easy ways to enter below! Giveaway will run through Wednesday, Nov. 5 with the winner announced Thursday, Nov. 6. Open to US residents only.